An office partition is a proven way to transform your office space. With a unique look and feel, this cost effective and aesthetically pleasing solution will delight your colleagues and your clients. With a variety of office partitions available to satisfy your exact requirements and a track record of consistently delivering outstanding work on projects both large and small we’re confident that we can help you achieve your perfect office setup. To ensure that we always exceed your expectations we will work closely with you to explore your requirements and ensure the project is well planned, managed and delivered. What types of office partitioning do we provide? 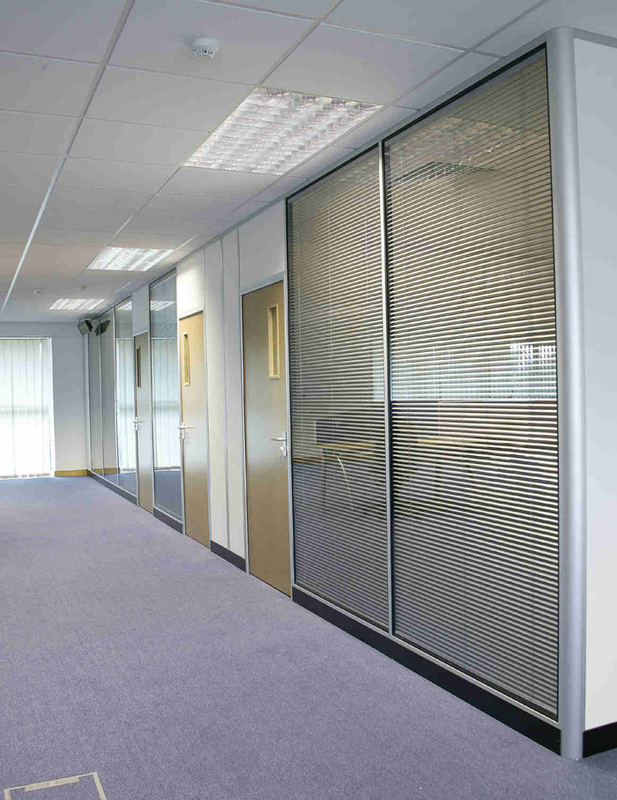 There are a number of different partitioning systems that may be suitable for your project. Here is an overview of the most widely used. Increase productivity and enhance your working atmosphere with a beautiful, contemporary glass office partition. Our easy to install system comes in single and double glazing. It provides sound insulation, lets light in and helps to create a very attractive workspace. A partition wall made of plasterboard is a flexible and cost effective alternative to our glass partitioning. With a clean and professional finish this product can help you achieve your aim of a well laid out office. For an obligation free quotation please feel free to get in touch. You can contact us by telephone: 0800 8 600 600, email: enquiries@ace-interiors.com or by completing our contact form. Get in touch for impartial advice and an obligation free estimate.